I remember being blissfully lost amid the canals and cobblestoned streets of Amsterdam. Locals cycled along leisurely, quaint cafes with good-looking baristas tempted me in, charming houses adorned by vibrant spring colors lined the cobbled walkways. Time seemed to move backward. Even hours after the effects of the (happy) cakes had worn off, Amsterdam felt like a bubble I never wanted to burst! The year was 2011 and I was just another corporate dweller in need of a break. I didn’t know then that winning a flight ticket to Paris on Facebook and taking a month-long Euro trip would change so much for me. It was my first nudge in the direction of travel blogging. So when Lufthansa notified me of their latest contest, giving away a dream trip to Amsterdam, I couldn’t help feeling excited about the endless possibilities it could hold for my readers! 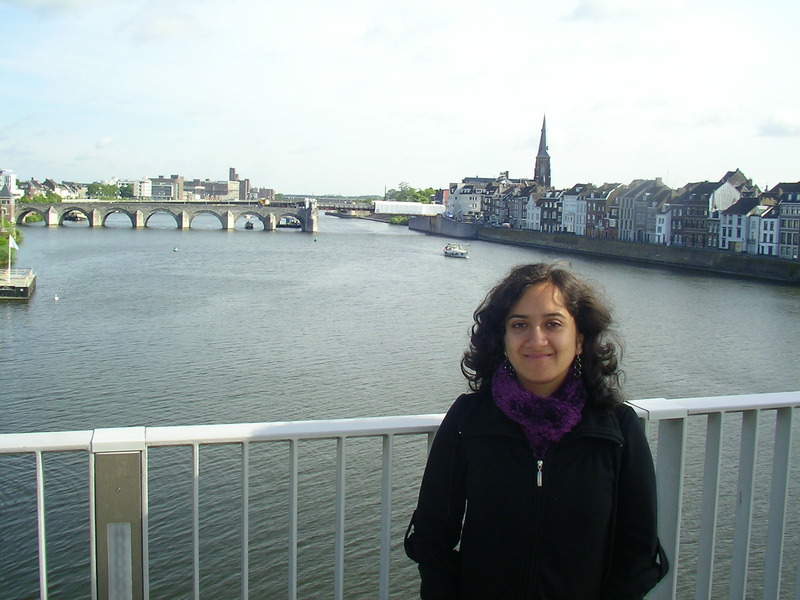 On my first trip to Netherlands. A return flight ticket on Lufthansa’s new premium economy from Bangalore / Delhi to Amsterdam (or on economy class from any other city in India). 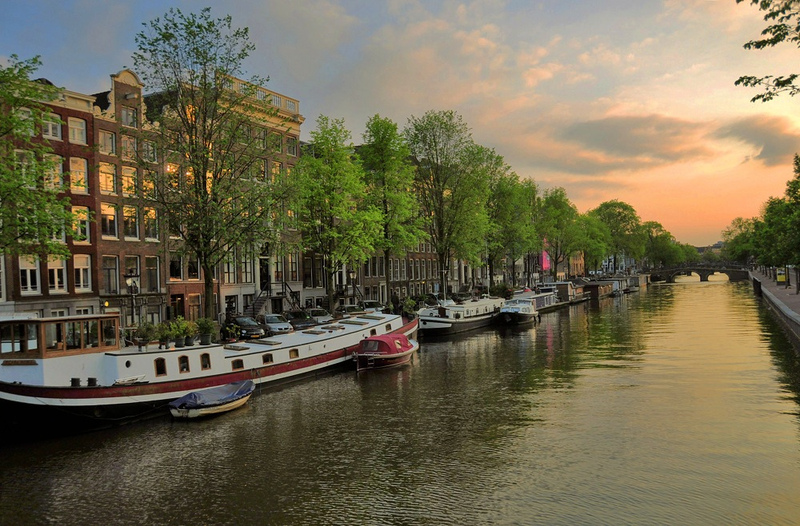 4 night stay at the first Hyatt hotel in the Netherlands – Andaz Amsterdam Prinsengracht. Cafes by the canal in Amsterdam. Photo by George Terezakis. The contest is really fun for any trivia buff. Put on your thinking hat and solve a crossword puzzle on the Lufthansa India Facebook page, on all things Amsterdam. Since there’s no time limit, you can use Google to your heart’s content and find clues scattered under the “Amazing Amsterdam” tab. And if you win, you could turn your Amsterdam travel research into actual experiences! Some things in life you just have to experience in person. Photo by faungg’s photos. The contest ends on 30th June 7th July 2015. Don’t wait till the last minute! Enter the contest from your laptop and remember to like the Lufthansa India page, or you might see an error. The contest is only open to citizens and residents of India, over 18 years old. You can read the rest of the terms and conditions here. Go enter the contest, and remember to send me a picture if you win! All the best. 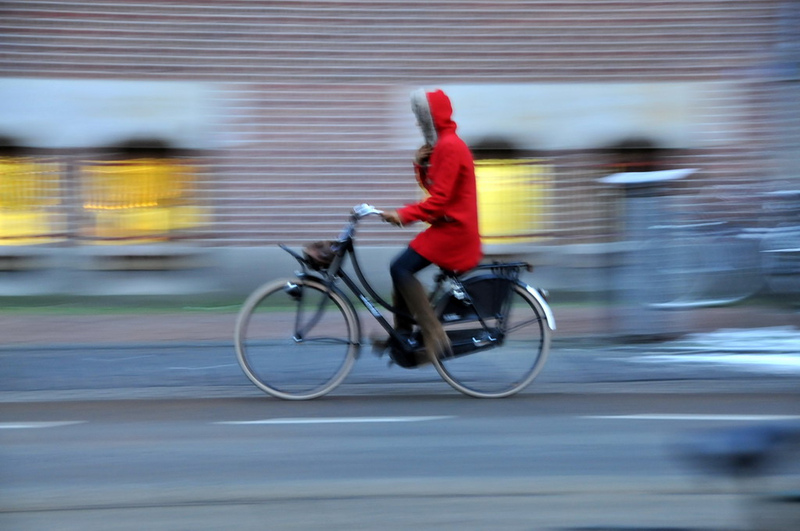 Could it be you in Amsterdam? Photo by Lauren Manning. If you win, what would you most like to experience in Amsterdam? 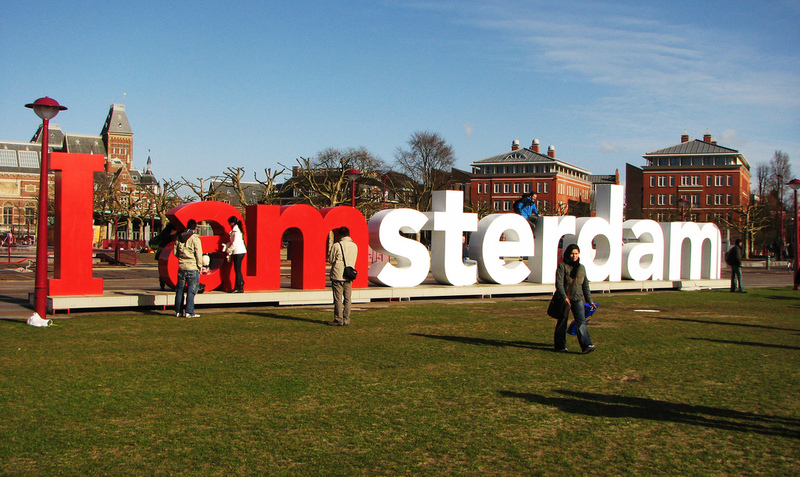 Note: This post is part of Lufthansa’s Inspiredby Amsterdam campaign. For more travel contests, join me on Facebook, Twitter and Instagram. I want to visit Lufthansa, it is a beautiful place to spend holidays. Thanks for suggesting views, your blog post works as a guide for me. Haha, surely you meant Amsterdam?! Thanks for informing us readers about the contest…..
Hope one of my readers gets lucky! I entered the contest when you first shared it on Twitter! Friends went to Amsterdam last year, and loved hearing the stories. If I win, you definitely get a picture postcard! Amsterdam is on my bucket list, and I am hoping I can cross one item off courtesy this contest. I hope so! Keep them fingers crossed. I always blog for Lufthansa whenever they hold a blogging contest in the hope to win a trip with them. Fingers crossed to get lucky. Hope you get to do all of that and more! Spotted your post nick of time. Played for myself and my husband. Fingers crossed! Lufthansa didn’t announce the winners of this contest and is announcing another contest!!! Previous PostDiscover Durban, the Hipster Soul of South Africa. Next PostSolo Travel: To Go or Not To Go?